Your votes have earned us "GOLD" in the past and we thank you! It is our privilege to provide quality medical care to the people of our communities and we are honored to have been voted Best Medical Facility. We appreciate your votes! For HERNANDO County please click on this link: 2013 Tampa Bay Online Reader's Poll. 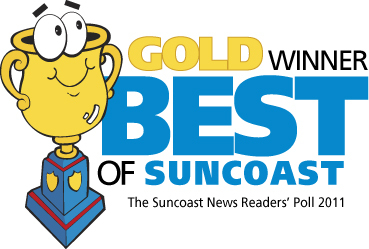 For PASCO County, please click on this link: 2013 Best of Tampa Bay Readers Poll. You will be required to register to vote , but once you do you will have the opportunity to support not only Suncoast Urgent Care but many favorite services, stores and restaurants in your community. We thank you for taking the time to vote and for making us your medical home! A Warning to the "Weekend Warrior"
Are you a Weekend Warrior? A Weekend Warrior is an individual who participates in sports at a level for which they are not in proper shape or physically conditioned. A Weekend Warrior injury is what we call the injury that occurs as a result. These injuries most commonly occur when adults who do not exercise regularly go out after work or on the weekends to play sports thinking “I’ve got this covered.” Unfortunately, when we are working full-time and when we do not exercise regularly our muscles, tendons and ligaments lose strength. Weekend Warrior injuries can occur when any part of our body that has not been exercised regularly is strained by the force of movement: Shoulders, backs, and calves....no where is immune. 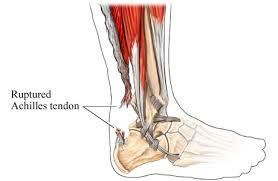 A common Weekend Warrior injury is a strain, pull or rupture of the Achilles tendon. That lay up that used to come so easily can pull the Achille’s tendon with such extreme power that an injury occurs; the pivoting and changing direction when playing basketball or tennis happens so rapidly that it may cause a rupture of the Achille’s tendon or strain elsewhere. Studies have shown that the force put on the achilles tendon can be up to 10 times your body weight when performing extreme changes in direction. An achilles tendon that is "conditioned" can endure this force, but one which is not can quite easily rupture. As the summer starts we want to remind all those Weekend Warriors out there to be careful as you head out to play with your children or friends. It is important to condition and strengthen before heading out to the courts, fields and beaches and to remember to start slowly and build endurance week by week. So, be careful and smart as you head off to play. Remember to start slowly and build up strength. But, if you get hurt....Suncoast Urgent Care is here when you need us!